It was just last month at Destruction in Kobe that Jushin 'Thunder' Liger and Tiger Mask IV got a non-title win over the IWGP Jr. Tag champs of El Desperado and Yoshinobu Kanemaru. After the victory, the legendary tandem laid out a challenge for the belts but come 8 October, the Suzuki-gun’s underhanded tactics proved too much for Liger and Tiger Mask. Before the match even began, Desperado and Kanemaru attacked their opponents from behind. However, the challengers later rallied back and Tiger Mask covered Desperado for the win -- unfortunately, the referee had been knocked down. 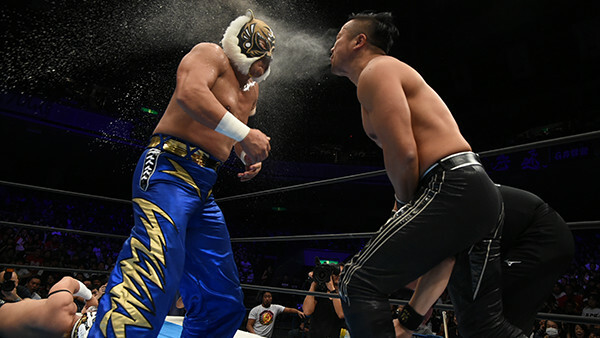 Following some whiskey spit into Tiger's eyes and a low blow the Suzuki-gun duo captured the pinfall. 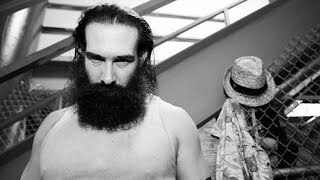 Fortunately, the match’s controversial ending will not be the end of the legendary duo's quest for the titles. During the Road to Power Struggle, NJPW will hold the Super Jr. Tag League tournament of which Liger and Tiger have been announced as participants. If the two men can fight their way to victory, they will get another deserved opportunity at Desperado and Kanemaru’s gold come Wrestle Kingdom 2019. Douglas Scarpa is a freelance writer, independent filmmaker, art school graduate, and pro wrestling aficionado -- all of which mean he is in financial ruin. He has no backup plan to speak of, yet maintains his abnormally high spirits. If he had only listened to the scorn of his childhood teachers, he wouldn't be in this situation.